Putnam County birth, death, and marriage records (from 1917 on) are available only to family members from the state Vital Registration Office. Birth records after 100 years, and death and marriage records after 50 years, are usually made public. For vital records before 1917, as well as all divorce records, see the Putnam County Clerk. 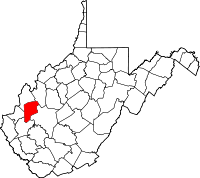 Named for General Israel Putnam of Massachusetts, a major general in the American Revolutionary Army, Putnam County was created in 1848 from Cabell, Kanawha, and Mason Counties. George Washington, who surveyed the county's Buffalo district in 1770, may have been the first man of European descent to enter the county.